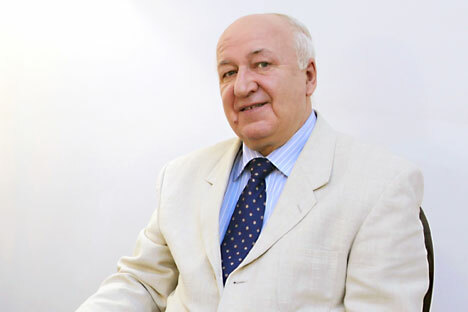 Russia’s Ambassador to India, Alexander Kadakin, talks to RIR about bilateral relations, dwells on Russia’s support to India’s global power aspirations and on mutual efforts to scale up bilateral trade. How would you assess the general trend of the Russian-Indian partnership in this year marked by the 65th anniversary of diplomatic relations between our two countries? Are there any reasons to worry given the recent minor tensions? Will we manage to overcome them and take our cooperation to new heights? President Putin’s visit to Indian falls on the auspicious year marked by the important milestone. However, in terms of interstate relations 65 years jubilee does not imply any autumnal sentiments. Our sisterly relations with great India are time-tested, mature and sophisticated on the one hand, and on the other – dynamic, confidential and future-oriented. The passing year saw a number of milestone events: the 65th anniversary of diplomatic relations, induction of the nuclear-powered submarine INS Chakra into the Indian Navy, upcoming launch of the NPP Kudanlulam first power unit, and the hugely successful Days of Moscow, not to mention the whole range of bilateral and multilateral activities, including the March BRICS Summit in New Delhi. While observing the general trend of Russian-Indian relations, one can notice the unprecedented level of goodwill and trust. It is only with the closest and long-standing friend that we share our best and razor-edge technologies and achievements both in military and civil spheres. Contrary to certain ill-intentioned predictions, Russian-Indian ties are in their prime. However, we have no intention to rest on the laurels or slumber away in nirvana. We are determined to work even harder for further advance of special and privileged strategic partnership. There is no need to focus on the referred minor "wrinkles" which are unable to mar the spirit of our mutually beneficial cooperation, our keen and frank dialogue. We hold open and honest talks on all disputable issues. We are more anxious about the enormous untapped potential of our trade and economic relations which lag considerably behind our political interaction. I would say, it is the only area of bilateral cooperation which requires constant and undivided attention of our strategists. Thriving India aspires for a decent place in the international arena. How can Russia help her, including in the framework of international organizations? Is Russia supportive of India’s accession to the SCO? Russia supports India’s aspiration to be more involved in various multilateral mechanisms given her proactive and multidimensional strategy in the international arena. Moscow considers New Delhi as a strong and worthy candidate, backs its ambition for the permanent membership in the UN SC and welcomes its intention to enter APEC. It is no secret that Russia is interested in and contributes to India’s inclusion into the SCO as a full-fledged member. However, such decisions are not only for us to take, but are subject to consensus or voting procedures. What role can Russia and India play in Afghanistan once the NATO troops are withdrawn? As regards the Afghan state-of-affairs, our countries have adopted similar positions. Both Russia and India are worried about possible security aggravation after 2014. It is in our common interests to normalize the situation in Afghanistan and create conditions for peaceful and stable development. I am convinced that Russian-Indian cooperation in this area will further broaden, thus laying necessary groundwork for tackling regional security challenges, including the outward terrorist threat and the expansion of drug trafficking. The dynamics of economic ties with India are quite discrepant. On the one hand, there are an increasing number of cases when political means fail and Russia loses in global competition for the Indian market. On the other hand, while having reservations about Russia’s investment appeal, the private sector does not get serious government support or a clear indication. As a result, despite all the efforts, the volume of bilateral trade turnover remains insignificant. What can be done to fix it? By the end of 2012, the bilateral trade turnover is expected to exceed 10 billion US dollars. The number is quite modest indeed, given the high level of political contacts between our countries. Still, it is heartening that this year we will manage to finally surpass this psychologically important mark. It is safe to say that we can expect further increase of bilateral turnover, given the positive trend of the recent years. Our mid-term target is to reach 20 billion US dollars by 2015. However, quantitative indicators alone cannot fully reflect the nature of our bilateral cooperation. One should understand that it is not the value that is of utmost importance for us, but the broader goods range which can be achieved primarily through a larger portion of science intensive and high-tech products, i.e. those products that actually offer growth potential for the future. Generally speaking, the buyer-seller model appears to be obsolete nowadays and holds little potential under the current circumstances. Global trade today is largely a derivative of investment cooperation, unless we are talking about supplies of Indian tea or Russian oil in pure form. It is no secret that large-scale intergovernmental contracts, such as exports of heavy machinery for the construction of nuclear power plants, or steel mill upgrades, represent the lion’s share of Russian exports. But such projects are few and far between. Stronger ties between private businesses interested in carrying out joint long-term investment projects with minimal state participation should become a priority for Russian-Indian trade today. Business activity has long established itself as a living, breathing, self-regulating mechanism. If, for example, Indian manufacturers understood that it would be more profitable to buy components from us rather than from Europe or Asia, because Russian technology is not only cheaper, but is also of better quality, no state or political resources would be needed to stimulate cooperation. In this case the role of the state would be limited to creating an environment where Russian businesses in India and Indian businesses in Russia would feel comfortable. The programme to set up joint pharmaceutical ventures in Russia with Indian capital and technology is a prime example. Hopefully, this model will be applied to other industries as well. If the Sistema Shyam TeleServices situation turns out badly for the company, will it affect Indian investments in Russia? The situation with SSTL is indeed complicated. Despite all efforts, we are yet to receive a clear signal from the Indian side on their readiness to settle the situation in a way that would be favourable to us. Both sides are working together to try and find mutually acceptable solutions. SSTL has filed a petition with the Supreme Court, but time is running out fast: the operator’s licenses expire at the end of January. More than $3.2 billion in Russian investments is at stake here; the government has itself invested in the project through Rosimuschestvo. We cannot allow this money, public or private, to go down the drain. We have explained more than once to our Indian counterparts at various levels that we expect constructive intervention and real help. Unfortunately, no tangible progress has been made so far. Of course, Russia does not want to take the dispute to an international court, but unless the Indian authorities take effective steps, it could be a real possibility. Fortunately, there is a regulatory and legal framework for this; we’re not just talking about international trade practices here – there is also the 1994 bilateral agreement on the protection of investments. Russia has suffered many setbacks in military and technical cooperation. In particular, India chose Boeing in a helicopter tender. Are you concerned that India is increasingly opting for American and other technology? First of all, our military and technical cooperation with India, which accounts for 30% of Russia’s total arms exports, is unique. We have been working together for 50 years. India is the only country with which Russia has a long-time programme for military and technical cooperation, and it has recently been extended to 2020. In monetary terms, the amount of contracts signed as part of the previous ten-year programme has reached $30 billion. We expect to supply more than $7 billion of weapons and military equipment to India this year. Furthermore, we not only sell “hardware”, but also technology that no other country is prepared to provide to India at present. Many have promised, but then backpedal once it comes to real action. It is clear that with New Delhi’s new course towards diversification of arms suppliers, competition in the Indian market has been rising. Russia is ready for this. We have done a good deal of groundwork in a number of areas, all of which we can offer to our partners. In particular, we are planning to expand our participation in air defence with the Igla-S portable SAM, the Tor-M2E SAM, the Pantsir-S SAM and anti-aircraft artillery system, and other Russian-developed weapons. We are also planning to take part in a tender for the supply of six diesel-electric submarines with the Amur-1650. At the present time, some new trends are gaining momentum: the emphasis on bilateral military and technical cooperation has been steadily shifting towards transferring licences for manufacturing Russian armaments in India, conducting research and development locally and setting up joint ventures. A number of very important projects are underway in this sphere, including the development of a fifth-generation jet fighter and a multi-purpose cargo plane; the production of the world’s best BrahMos super-sonic cruise missiles, T-90S tanks and Sukhoi-30MKI fighter jets. Military engineers and designers from both countries are conducting joint research and development projects in more than 40 areas. Bilateral military and technical cooperation will no doubt be discussed at the Russo-Indian summit. A number of important military contracts are expected to be signed. Will people-to-people contacts be strengthened? What about education and student exchange programmes? I believe we can expect some progress in this area very soon. We are working on a draft agreement on the mutual recognition and equivalency of educational credentials and academic degrees. Once adopted, it will help lift serious obstacles hindering cooperation in university education. Paradoxically, many Indian citizens who graduate from Russian universities (particularly from the medical faculties) cannot find work when they return home, because their degrees are not recognised in India. As a result, young doctors are subjected to complicated and lengthy certification procedures, which often hinder their professional careers. This has been a serious problem for quite some time now, and has been raised in Parliament. So how are the two countries supposed to develop cooperation in pharmaceuticals when degrees in pharmacy are not recognised? As part of the upcoming visit, both sides are also expected to sign a cultural exchanges programme for 2013–2015. Russia will keep a keen eye on and pay particular attention to safeguarding the Roerich family’s legacy in the Himalayas and in Bangalore in the South of the country. Any thoughts, let alone suggestions, to turn part of the Roerichs’ Tataguni estate in the South into a rubbish tip or a 500-acre metropolitan waste treatment plant near it are surreal and sacrilegious. Russia has been entertaining the idea of “returning” to Asia in recent years. Does the Russian leadership have a clear understanding of where India stands among Russia’s foreign policy priorities? What is the plan for India in the context of Russia’s developing relations with China, Pakistan and Asia-Pacific countries? Building up multi-faceted cooperation with India has always been and remains a key priority in Russia’s foreign policy. We have no other friend closer than India. This is especially important in this particular period in time, when the centre of global economic growth is rapidly shifting to the Asia-Pacific region. India’s emergence as a nascent global power and a regional power broker with its own foreign policy is becoming increasingly apparent. This is accompanied by New Delhi’s active protection of its own core interests at various international venues, helped by close cooperation with like-minded states in the UN, G20, BRICS, IBSA, SCO, SAARC, ASEM and other multi-lateral forums. New Delhi is obviously well aware of Russia’s geopolitical status as a kind of bridge between Europe and Asia. It is only natural for our country to maintain close ties with Beijing. Relations with Islamabad are also of separate value for Russia and this is why we have opened a dialogue on this front as well. We are interested in strengthening contacts with all Asia-Pacific nations. But I assure you that this is not happening to the detriment of our historic and time-tested friendship with India. The nature of relations between Russia and India as a special and privileged strategic partnership, unique in world diplomacy, is the best evidence of this.